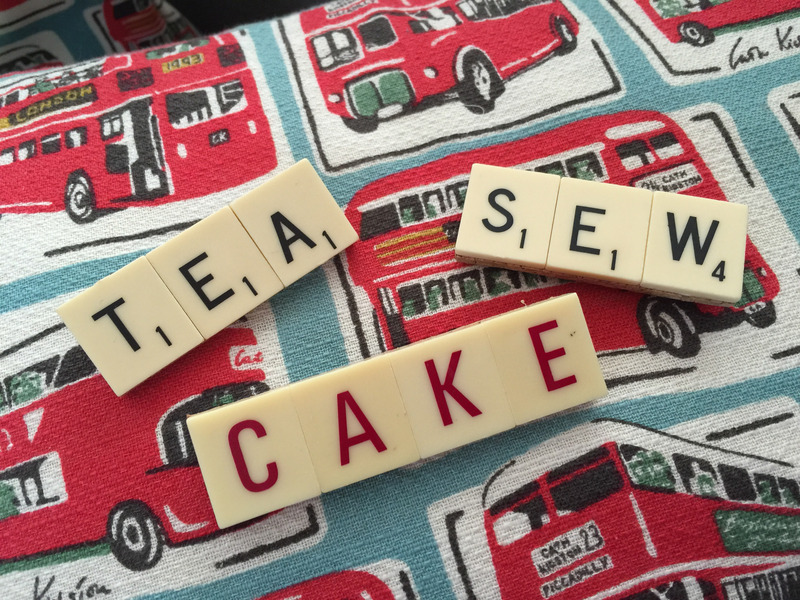 Did you know it’s Scrabble Week? This May over 6,500 new playable Scrabble words join the Collins Official Scrabble Wordlist. To celebrate the biggest update in 4 years, Collins are hosting Scrabble Week which runs from May 21-28 2015. 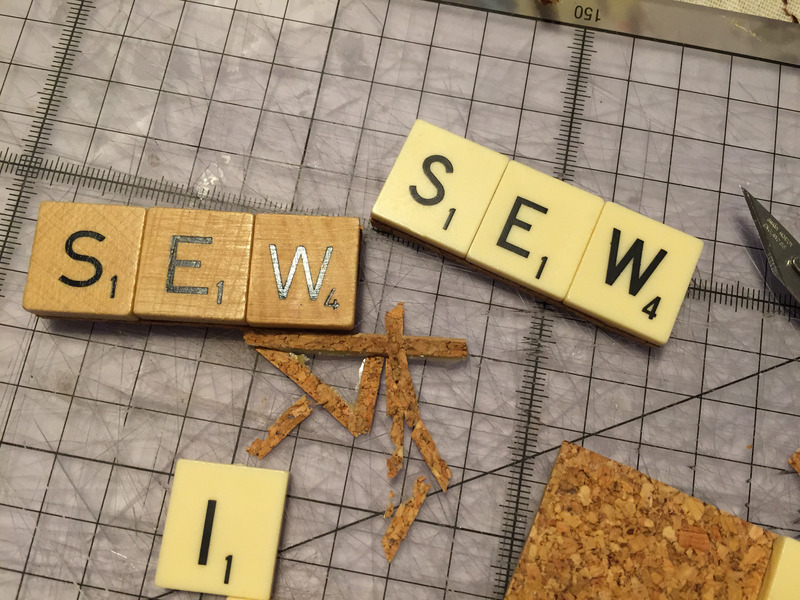 I love playing Scrabble and crafting with my vintage Scrabble tiles. 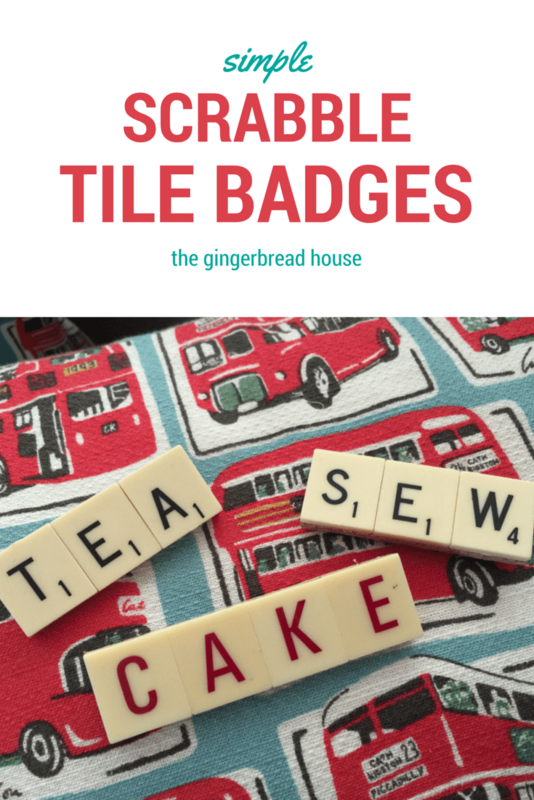 I felt I should make something special to mark Scrabble Week so I made some fun Scrabble tile badges. 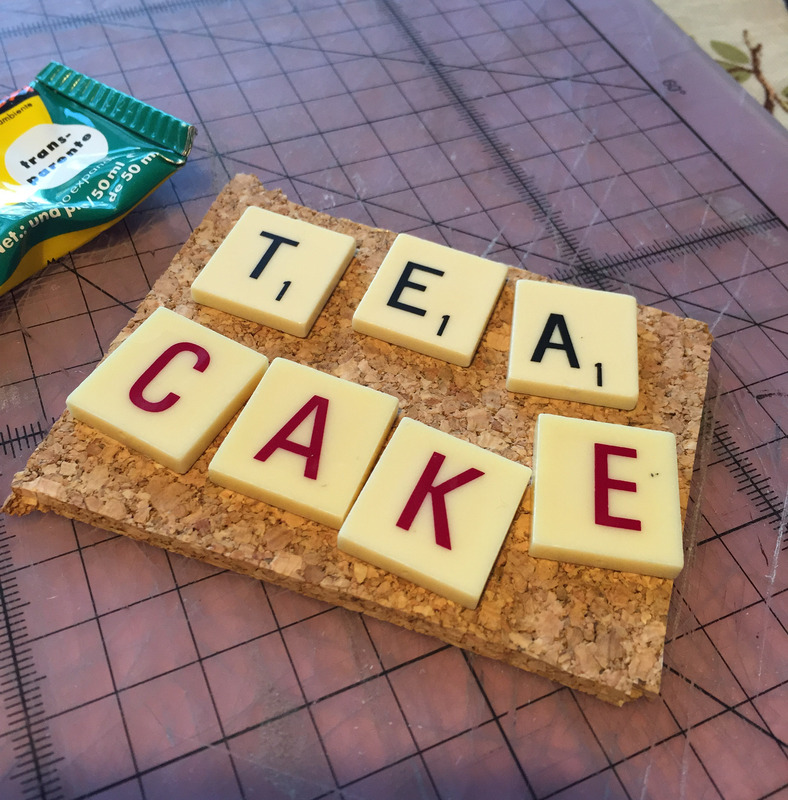 My two favourite things (after my family of course) is sewing and drinking tea so I made simple badges using my Scrabble tile stash. I chose a couple of words and found the corresponding Scrabble tiles. I used tiles with flat backs so there was plenty of surface to adhere to the cork sheet. I covered the back of each tile with glue and placed on the cork sheet, lining them up against a metal ruler to ensure they were straight. I left them to dry then carefully cut round each badge with the scalpel to remove any excess. I then attached a badge back with more glue and left to dry. I think they make fun badges and are a great talking point! DING DING DING, WE HAVE A WINNER! I can’t believe these! They’re awesome, if you’re not selling them already I think I’ll have to steal it off you before you copyright it! I’m a scrabble geek so these are soon to be my go-to present.